Last year a review into pharmacy in Australia recommended homeopathic products be banned from sale in chemist shops across the country. This was a sensible recommendation, given pharmacists are trusted scientists in the community and science tells us homeopathic products simply don’t work. In the government’s recent response to this review they “noted” the concerns of the reviewer, and have chosen not to adopt it. Here’s why that is a mistake. Homeopathy involves extreme dilution of a compound that is claimed to be therapeutically effective, and uses the concept of “like cures like”. For example a fever might be treated with a compound used to induce fevers, in the belief the diluted active ingredient will have the opposite effect and cure the fever. Products tend to contain the equivalent active ingredient to a single molecule within an Olympic-size swimming pool. Practitioners of fact-based medicine have understandably indicated that any effect of the product could only be attributable to the placebo effect (it works because you believe it works) or because the product contains alcohol or a similar base. Most pharmacists probably abhor such treatments lacking evidence, given they go through years of rigorous university training, are heavily regulated and have a strong professional ethic. But it makes the cash registers clang. These days pharmacies also sell jelly beans, lipstick, energy bars, vitamins, teddy bears and sunglasses – as well as prescription medications. This, unfortunately, is business practice. Pharmacies have a special status as businesses, along with many actors in the health system. Successive governments have grappled with tensions around service delivery, standards and competition. Professional standards have been designed for use by individual pharmacists to assess their own professional practice. They are intended to serve as guidance for desired standards of practice. However, it is the sole responsibility of the individual pharmacist to determine, in all circumstances, whether a higher standard is required. It is equally their responsibility to meet that standard and ensure that consumers are provided with the best available information about the current evidence for, or lack-of efficacy in, offered treatments and therapies. So given the government has not banned homeopathic products from pharmacies, we could hope for restriction under Australian Consumer Law. They can, for example, prohibit sale of products that lack the purported constituents or qualities. But this has yet to happen with homeopathy, as it’s considered misleading but harmless. The government is putting the onus on consumers to ask the pharmacist “does this work?”, and only the exceptional customer will ask. If consumers wish to purchase therapies without a proven effect, they should be able to do so from venues that sell incense sticks and similar “wellness” paraphernalia. They should not be available for sale in an industry necessarily regulated by government and trusted by the community. It’s time for the Guild and Society to take a stand and reject sale by their members of products that by definition do not work. If pharmacies want status, they have to skip the junk products dollar. The government should help. Some popular liver detox brands. 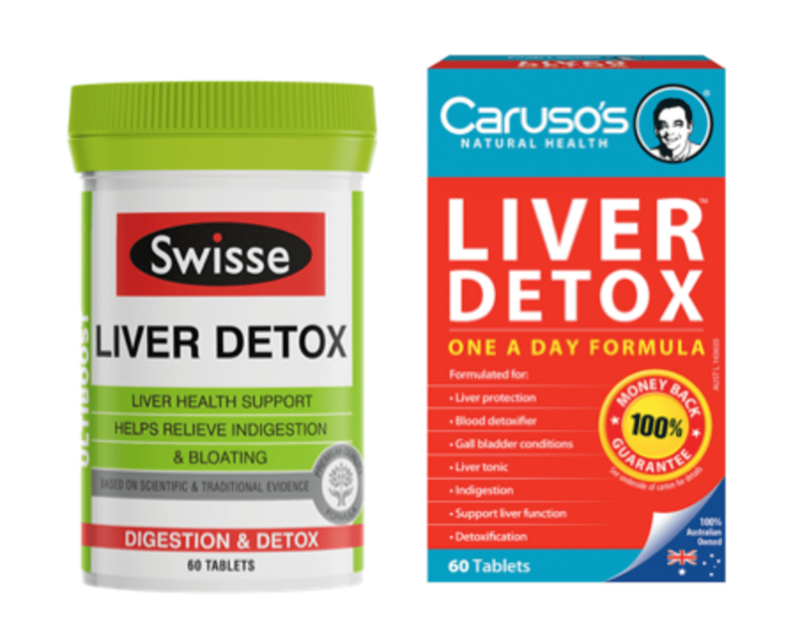 Caruso’s liver detox active ingredients as per their website. The ABC’s flagship science journalism TV programme, Catalyst, has riled the scientific community once again. And, in a similar vein to Catalyst’s controversial 2013 report on the link between statins, cholesterol and heart disease, it has now turned its quasi-scientific attention to a supposed new peril. Its “Wi-Fried?” segment last week raised concerns about the ever-increasing “electronic air pollution” that surrounds us in our daily lives, exploiting a number of age-old, fear-inspiring tropes. There are already plenty of robust critiques of the arguments and evidence, so exploring where they got the science wrong is not our goal. Instead, we’re interested in using the segment as inspiration to revisit an ongoing question about scientists’ engagement with the public: how should the scientific community respond to issues like this? Should scientists dive in and engage head-on, appearing face-to-face with those they believe do science a disservice? Should they shun such engagement and redress bad science after the fact in other forums? Or should they disengage entirely and let the story run its course? There are many of examples of what scientists could do, but to keep it simple we focus here just on the responses to “Wi-Fried” by two eminent Professors, Simon Chapman and Bernard Stewart, both of whom declined to be a part of the ABC segment, and use this case to consider what scientists should do. In an interview about their decision to not participate, Chapman and Stewart independently expressed concerns about the evidence, tone and balance in the “Wi-Fried” segment. According to Chapman it “contained many ‘simply wrong’ claims that would make viewers unnecessarily afraid”. I think the tone of the reporting was wrong, I think that the reporter did not fairly draw on both sides, and I use the word “sides” here reluctantly. Indeed, in situations like this, many suggest that by appearing in the media alongside people who represent fringe thinkers and bad science, respected experts lend them unwarranted credibility and legitimacy. Continuing with this logic, association with such a topic would mean implicitly endorsing poor science and bad reasoning, and contribute to an un-evidenced escalation of public fears. The concerns Chapman and Stewart expressed about the show could equally be used to argue that experts in their position should have agreed to be interviewed, if only to present a scientifically sound position to counter questionable claims. In this line, you could easily argue it’s better for experts to appear whenever and wherever spurious claims are raised, the better to immediately refute and dismiss them. On the other hand, if scientific experts refuse to engage with “scientifically bankrupt” arguments, this could send a more potent message: that the fringe claims are irrelevant, not even worth wasting the time to refute. So this would mean they shouldn’t engage with this kind of popular science story. On the third hand, their refusal to engage could be re-framed to characterise the experts as remote, arrogant or even afraid, casting doubt on the veracity of the scientific position. So to avoid this impression, experts should engage. Participation in these kinds of popular science shows could also tarnish the reputation of the expert. But not appearing means missing the opportunity to thwart the potential harm caused by fringe, false or non-scientific claims. And what about an expert’s obligation to defend their science, to set the record straight, and to help ensure people are not mislead by poor evidence and shonky reasoning? Is this best done by engaging directly with dubious media offerings like “Wi-Fried”, or should relevant experts find other venues? Well, this depends on what they think they might achieve. And if one thing stands out in all the to-ing and fro-ing over what scientists should do in such cases, it’s this: the majority of proponents both for and against getting involved seem convinced that popular representations of science will change people’s behaviour. But there is rarely any hard evidence presented in the myriad “scientists should” arguments out there. Sticking with the Catalyst example, there is really only one, far-from-convincing, study from 2013 suggesting the show has such influence. If you really want to make a robust, evidence-based decision about what experts should do in these situations, don’t start with the science being discussed. In the case of Catalyst, you’d start with research on the show’s relationship with its audience(s). What kinds of people watch Catalyst? Why do they watch it? To what extent are their attitudes influenced by the show? If their attitudes are actually influenced, how long does this influence last? If this influence does last, does it lead people to change their behaviours accordingly? Of course, we applaud the motives of people who are driven to set the scientific record straight, and especially by those who are genuinely concerned about public welfare. But to simply assume, without solid evidence, that programmes like Catalyst push people into harmful behaviour changes is misguided at best. At worst, it’s actually bad science. Is the Chiropractic Board of Australia doing enough to protect consumers from pseudoscience? In this column two and a half years ago, I took the Chiropractic Board of Australia (CBA) to task for abdicating its responsibility to keep the public safe by waving through questionable activities that some chiropractors have taken part in. It drew this response from the Board, which I thought was a bit lukewarm at the time. I resolved to wait and see whether they lived up to their public commitment. Maybe they would surprise me with their rigorous approach to protecting the public from the so-called “fringe” elements of the profession. I say “so-called” because some of the views that cause concern emanate from positions of considerable influence with chiropractic ranks. I have not been the only one with these frustrations. An article by A/Prof Ken Harvey in the MJA Insight publication last year highlights some more direct action he has undertaken in an effort to drag chiropractors kicking and squealing into line with the same professional standards that seem so routine to other groups. When followed up some months later it is clear little effective action has taken place. More than half of the misleading claims were still present in the complained-of websites. Only one of the ten clinic websites reported to CBA had removed the claims. The misleading and unprofessional claims that the CBA is tasked with regulating are still there, five years after it was first highlighted to them, and seven months after the CBA announced its intention to start getting serious. The Board holds ongoing concerns about advertising by the profession that may be seen as misleading and deceptive. In particular, there have been a number of concerns raised about chiropractors’ advertising that indicates that there may be a lack of understanding of evidence and evidence-based practice. Worryingly, the CBA’s credibility problem goes beyond advertising regulations. By continuing to lend its gravitas to some of the continuing professional development (CPD) activities that attract approved hours, I would suggest the CBA itself may end up looking like it has problems understanding the concept of evidence-based practice. The Paediatric CPD Program is approved in Australia (by the CAA on behalf of AHPRA). One of the modules on offer in this program is on Craniosacral Therapy. Craniosacral Therapy is an entirely made up and ineffective pseudo-therapy based on what “evidence” exists in the literature. It is implausible and has no credible reason for being promoted as a treatment for anything. To allow practitioners to offer it is entirely inconsistent with a commitment to evidence-based practice. Here is another howler CBA might rather forget. Obtained by the medical media website 6minutes.com.au, it shows the CAA National approving CPD hours on behalf of CBA for chiropractor Tim O’Shea’s visit to Australia a couple of years ago. Note that CAA specifically pointed out that they were happy for him to use the Board’s imprimatur in his marketing. CBA subsequently overturned the approval for claimable CPD hours after an investigation prompted by outrage from the more science-based chiropractic community and negative media coverage. The CBA’s previous inability to professionally manage an investigation of an injured child has not been forgotten either. The failings of that case, including inappropriate public discussion of the highly confidential AHPRA report I have detailed previously. Just have a look at the slap-downs being handed out by the other AHPRA Boards. Bear in mind also that the chiropractors disciplined by the Board so far have only been disciplined for advertising code breaches. The inappropriate treatment that they actually may be providing, if their advertising is anything to go by, has received little attention. These ongoing frustrations within the profession have resulted in the formation of a new professional organisation based on professionally progressive ideals. The early signs are positive that this organisation may provide leadership and representation that is more in alignment with what the rest of the scientific health-care community expects from their colleagues in the 21st century. Whether Chiropractic Australia can influence the Board to take a similarly progressive stance against pseudoscience in their profession remains to be seen. It is a daunting and perhaps forlorn task but I wish them well in their efforts. So after five years of hollow threats and effete regulatory action, the Chiropractic Board of Australia has “written to every chiropractor registered in Australia via the newsletter to remind them what is legal, and what the Board expects” according to the current Chair in a media release. They have also set out at length in their newsletter the standard to which they wish to hold their profession. I guess it’s just too bad for the public if average chiros treat this latest “campaign” by their supine regulator with the same unresponsiveness they have shown for the last five years. Reform-minded chiropractors might prefer to see a few outrageously unprofessional colleagues temporarily put out of practice pour encourager les autres. I think when one looks at the efforts of the CBA over the last couple of years, it’s hard to be confident that the public’s interests are being adequately protected. The reluctance of the fractured chiropractic profession to go along with even the most basic self-regulation standards seems intractable with a light touch. The strongest enforcements by the CBA have been brought about by public shaming from the media or within their own profession. As it stands they are the Caspar Milquetoast of regulators. They could at least have a go. Denialism is a person’s choice to deny certain particular facts. It is an essentially irrational belief where the person substitutes his or her personal opinion for established knowledge. Indeed, one of the hallmarks of denialism is a failure to recognise the distinction between opinions and facts. Denialism should not be confused with modern scientific skepticism, which is the challenging of beliefs that are unscientific, irrational or based on insufficient evidence. Instead of denying facts, modern skeptics test claims by analysing whether they are supported by adequate empirical evidence. Denialism is the a priori rejection of ideas without objective consideration. The philosophical skepticism of the Academic Skeptics and Pyrrhonists in Classical Greece (which was quite different to modern skepticism) consisted of doubting whether there can be any knowledge or facts at all, rather than denying particular facts. Science denialism is the rejection of basic facts and concepts that are undisputed, well-supported parts of the scientific consensus on a subject, in favour of radical and controversial opinions of an unscientific nature. For example, the term climate change denialist is applied to people who argue against the scientific consensus that the global warming of planet Earth is a real and occurring event primarily caused by human activity. The term evolution denialist or ‘creationist’ is applied to people who argue against the fact that life on Earth has evolved from earlier forms, instead of having been created by a supernatural being in its current form. Other instances include Holocaust denialism, AIDS denialism, vaccination denialism, and Flat-Earthism. The various forms of denialism present the common feature of the person rejecting overwhelming evidence, often with attempts to deny the existence of a scientific consensus or alternatively to allege a conspiracy theory to fake or conceal the evidence. Denialism is commonly one of the foundations of quackery and other varieties of woo. The motivations and causes of denialism include irrationality, religion and self-interest (political, economic or financial), beliefs in conspiracy theories or even defence mechanisms meant to protect the psyche of the denialist against mentally disturbing facts and ideas. We’re pleased to re-post, with the kind permission of the authors, the following letter. It was published in The Australian newspaper on 18/12/15. The government is struggling to find savings and about to make real inroads into pathology services, prescriptions and other valuable medical benefits of proven effectiveness. The Treasurer asks for suggestions as to where alternative savings might be made, so here are three. Many people take herbal medicines, including traditional Chinese medicine (TCM) thinking they are doing something positive for their health. Ironically, in many cases they may be doing just the opposite. Have you ever wondered what is actually in the herbal medicine products you buy? Has the herb on the label been replaced with another herb? Have pharmaceuticals been snuck in? Making sure that a tablet claiming to have 500 milligrams of paracetamol really does contain 500 milligrams of paracetamol is relatively easy, there are established assays to measure paracetamol routinely. But how do you test for herbs? Most herbal medicines are pills or powders that have removed all trace of structure we would normally use to identify plants, and many plants have no chemical signature that is able to definitively identify them. And what about all the other possible contaminants and adulterants that could hide in the complex brew of chemicals from herbal medicines? Our research, which has just been published in the journal Nature Scientific Reports, goes a long way to answering that. For the first time, our group of researchers from Curtin University, Murdoch University and the University of Adelaide have combined some of the most cutting-edge and sensitive analytical techniques to screen a set of traditional Chinese medicines available in Australia. 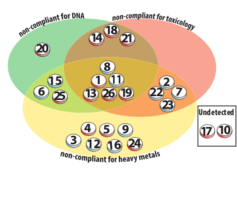 We used a three-pronged approach, combining DNA sequencing, toxicology and heavy metal testing to elucidate the true composition of 26 TCMs purchased at random from the Adelaide Markets; most were either for colds and flu’s or for general wellness. Nearly nine in ten of these medicines had some form of undeclared substance in them as either adulteration or contamination. Sixteen of TCM’s had more than one contaminant or adulterant. While around half of these medicines were not listed with the Therapeutic Goods Administration (TGA), and should not have been available for purchase, contaminants were found in both TGA-listed and non-listed medicines. These adulterants/contaminants included pharmaceuticals and toxic heavy metals. Plant and/or animal DNA from species not listed on the labels were also found. The most concerning finding was snow leopard DNA (snow leopards are an endangered species), which was detected in one medicine. DNA from pit viper, frog, rat, cat and dog was also detected in several medicines. Among the pharmaceuticals found were paracetamol, antihistamines, anti-inflammatories and antibiotics, and stimulants such as pseudoephedrine. Of particular concern were drugs such as warfarin, which have significant potential for harm if not taken under medical supervision, and ephedrine, which is banned in Australia. Significant levels of toxic heavy metals such as arsenic, cadmium and lead were found in over half the medicines. In at least four of these medicines following the directions on the label would expose you to over ten times the TGA’s regulatory limit for heavy metals in medicines. Are the levels of undeclared materials in these products adulteration or contamination? In adulteration, the material is added deliberately. In contamination, the material is added inadvertently, for example, through unclean workplaces or herbs grown on contaminated soil. Whether a compound is a result of deliberate adulteration or contamination has different regulatory implications. It can mean the difference between banning a substance or cleaning up the workplace. It can be tricky to decide which is which. In TCM materials, for instance, heavy metals or toad venom may be added as part of the treatment. However, by looking at the patterns of materials we found, we can get some hints. One TCM claiming to enhance weight gain with appetite stimulation contained pharmaceutically relevant levels of the drug cyproheptadine, a known appetite enhancer. In another, ephedrine was found without any evidence of DNA from plants of the Ephedra genus, suggesting that in both cases the drug was deliberately added. Intriguingly, high levels of arsenic were often found with similar levels of lead. Lead arsenate has been used as a pesticide, and the high levels may come from persistently contaminated soils. What this means is that you should be very careful about choosing and purchasing TCMs. Definitely avoid any medicine that does not have an ARTG listing (it should have a number like AUST L 123456 on the front of the bottle). But even medicines with these AUST L labels are no guarantee of safety. This also highlights the importance of informing your health practitioner if you are taking TCMs as adulterants might interact with conventional medication to cause adverse effects. 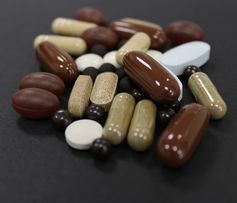 Unlike countries such as the United States, where many herbal medicines are regulated as dietary supplements, in Australia, herbal medicines are regulated through the TGA as medicines. TGA-regulated medicines can be approved as either “registered” or “listed”. Most herbal medicines are classified as “listed”. Unlike registered medicines such as paracetamol and warfarin, the evidence required for approval is much less stringent. In many ways it is an honour system, where the herbal medicines sponsor says there’s no evidence of harm, and they hold documentation that shows this. Mostly, the evidence is historical, claiming that people have been using it for generations without evidence of harm. As well, if the compounds are on the TGA’s list of “generally recognised are safe” materials extensive safety testing is not required. The TGA uses post marketing follow-up to check for compliance with the “listed” medicine regulations. This follow-up consists of random surveys as well as targeted surveys from concerns raised by consumers. In Australia, nearly 2,000 new herbal medicines are registered each year. In a TGA survey in 2012-2013, 145 complementary medicines were tested. Around 83% of complimentary medicines surveyed were deemed to be non-compliant, with 6% failing due to product composition, formulation or manufacturing. 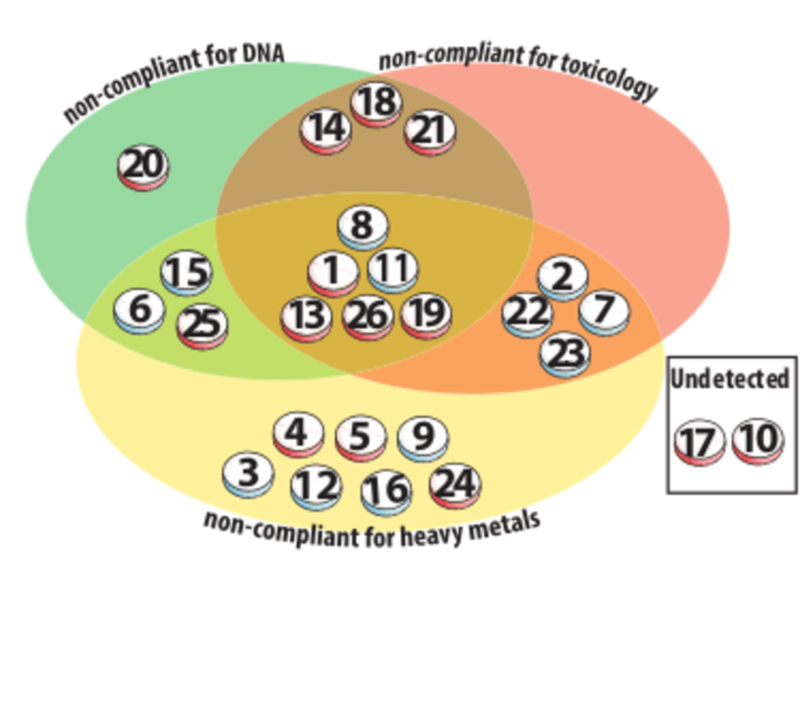 Using a combination of new molecular approaches, our survey found a much higher level of adulteration and contamination in TCMs than found in the TGA’s surveys. Adding DNA ingredient screening to the TGA’s armoury of analytical methods would help ensure that undeclared ingredients are not included in the herbal medicines we consume. The herbal medicine industry is a billion dollar international industry, with products travelling all over the world. Globally, we need a better auditing “toolkit” to ensure consumers of herbal medicines, as well as people testing their efficacy, are not being misled. This research, we think, provides a roadmap to more effective regulation of the herbal medicine sector. * The results of our screening have been passed on to the TGA, which is following this up. (An edited version of this essay was published in The Skeptic magazine, December 2015, Vol 35 No 4, under the title ‘Bad Medicine’). One of the distinguishing features of traditional Chinese culture has been the unusually high value placed on rare animal and plant products – the rarer they are, the more valuable they are. This high value applies to both formal dining and Traditional Chinese Medicine (TCM). By definition, endangered species are extremely rare. In western cultures (and increasingly so in modern China) endangered species are more highly valued alive than dead. The demand for rare TCM ingredients has become one of the major threats to the survival of endangered species such as rhinoceroses, tigers, Saiga antelopes, and seahorses. TCM is a broad range of claimed health treatments sharing common concepts that have been developed in China from traditions more than 2,000 years old. TCM includes various forms of herbal remedies, acupuncture, massage, exercise and dietary practices. It is widely used in China, and also in the West as a variety of so-called ‘alternative medicine’. Not only is TCM a threat to endangered species, but there is also a dearth of evidence for its efficacy. A Nature editorial has described TCM as ‘fraught with pseudoscience’, and said that the most obvious reason why it hasn’t delivered many cures is that the majority of its treatments have no logical mechanism of action. Worse still, some TCM ingredients have been shown to be dangerously toxic to humans and other mammals. It is important to distinguish TCM from mainstream medicine as practiced in China. Most hospitals and clinics in China are run by the government, practising scientific or what we would describe as western medicine. TCM is administered in private clinics, run by practitioners who generally do not have a western medical education. In the past, TCM practitioners learned their trade from their parents (mostly from their fathers); but more recently they have been studying TCM at universities in modern China. TCM holds that the body’s vital energy (chi or qi) circulates through channels, called meridians, that have branches connected to bodily organs and functions. Concepts of the body and of disease used in TCM reflect its origins in pre-scientific culture, similar to the ‘theory of the four humors’ dating from Hippokrates in ancient Greece. The idea of vital energy or vitalism is similar to that of the ancient Roman surgeon Galen, and which endures in naturopathy and other varieties of western quackery today. These similarities are most likely a coincidence, as there is no historical record of communication between China and ancient Greece or Rome. The underlying philosophy of TCM is based on Yinyangism – the combination of the concepts of Yin and Yang with what is known as the Five Elements theory. Yin and yang are ancient Chinese concepts representing two complementary aspects that every phenomenon in the universe can be divided into, including the human body. Analogies for these aspects are the sun-facing (yang) and the shady (yin) side of a hill, as shown in the iconic Yin and Yang symbol below. In TCM, the upper part of the human body and the back are assigned to yang, while the lower part is believed to have the yin character. Yin and yang characterization also extends to the various body functions and disease symptoms. Five Elements theory (also known as Five Phases Theory) presumes that all phenomena of the universe and nature can be broken down into five elemental qualities – represented by wood, fire, earth, metal and water. In this way, lines of correspondence can be drawn as shown in the following diagram. Complex rules apply to the interactions between the Five Elements. These interactions have great influence regarding the TCM model of the body, which places little emphasis on anatomical structures. Instead, TCM is mainly concerned with various functional entities (which regulate digestion, breathing, aging etc.). While health is perceived as harmonious interaction of these entities and the outside world, disease is interpreted as a disharmony in such interactions. TCM diagnosis aims to link disease symptoms to patterns of underlying disharmony, for example by measuring the pulse, inspecting the tongue, skin, and eyes, and examining at the eating and sleeping habits of the patient. Traditional Chinese herbal remedies account for the majority of treatments in TCM. They also comprises the aspects of TCM that are of most threat to endangered species. However, the term ‘herbal remedy’ is a bit misleading in the sense that, while plant elements are by far the most commonly used substances, animal and mineral products are also utilised. Herbal remedies have been used in China for more than 2000 years. Among the earliest literature are lists of prescriptions for specific ailments, exemplified by the manuscript Recipes for 52 Ailments, found in tombs sealed in 168 BC at Mawangdui, an archaeological site located at Changsha in China’s Hunan province. The doctrines of TCM are rooted in ancient books such as the Yellow Emperor’s Inner Canon from first century BCE and the Treatise on Cold Damage Disorders and Miscellaneous Illnesses from the third century CE. Written in the form of dialogues between the legendary Yellow Emperor and his ministers, the Inner Canon was one of the first books in which the doctrines of Yinyang and the Five Elements were synthesised into the TCM model of the body. The subsequent Treatise on Cold Damage Disorders focused on herbal remedies rather than acupuncture, and was the first medical work to integrate Yinyang and the Five Elements with herbalism. Succeeding generations augmented these works, as in the Treatise on the Nature of Medicinal Herbs, a 7th-century CE Tang Dynasty treatise on herbal medicine. Arguably the most important of these later works is the Compendium of Materia Medica compiled during the Ming dynasty (1368–1644CE) which is still used in TCM today for consultation and reference. In 1950, Chairman Mao Zedong made a speech in support of TCM which was influenced by political expediency, because of a shortage of science-based doctors and also for national unification purposes. However, Zedong did not personally believe in TCM or use it. Scientific investigation has found no physiological or histological evidence for traditional Chinese concepts such as qi, meridians, or acupuncture points. The effectiveness of Chinese herbal medicine remains poorly researched and documented. For most products, efficacy and toxicity testing are based on traditional knowledge rather than laboratory analysis. Pharmaceutical research has explored the potential for creating new drugs from traditional remedies, with few successful results. A review of cost-effectiveness research for TCM found that studies had low levels of evidence, but so far have not shown beneficial outcomes. A 2012 Cochrane review found no difference in decreased mortality when Chinese herbs were used alongside Western medicine versus Western medicine exclusively. TCM has been the subject of controversy within China. In 2006, the Chinese scholar Zhang Gongyao triggered a national debate when he published an article entitled ‘Farewell to Traditional Chinese Medicine,’ arguing that TCM was a pseudoscience that should be abolished in public healthcare and academia. The Chinese government however, interested in the opportunity of export revenues, has taken the stance that TCM is a science and has continued to encourage its development. Since TCM has become more popular in the Western world, there are increasing concerns about the potential toxicity of many traditional Chinese herbal remedies including plants, animal parts and minerals. Some of these products may contain toxic ingredients or are contaminated with heavy metals, such as lead, arsenic, copper, mercury, thallium and cadmium – constituting serious health risks. Botanical misidentification of plants can cause toxic reactions in humans. These products are often imported into western countries illegally without government monitoring or testing, thus increasing the safety risks. Many adverse reactions are due misuse or abuse of Chinese medicine. For instance, the misuse of the dietary supplement Ephedra (containing ephedrine) can lead to adverse events including gastrointestinal problems as well as sudden death from cardiomyopathy. Products adulterated with pharmaceuticals for weight loss or erectile dysfunction are some of the main concerns. TCM herbal remedies have been a major cause of acute liver failure in China. 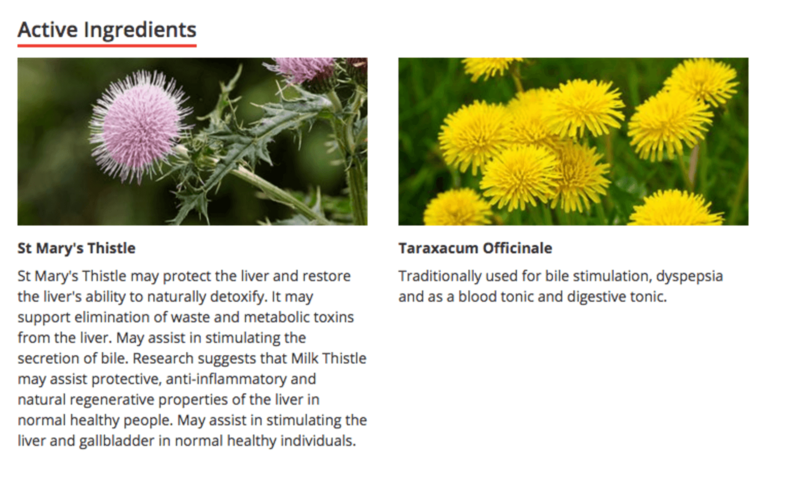 As mentioned earlier, TCM herbal remedies can include animal parts as well as plants. Some TCM textbooks still recommend preparations containing animal tissues, despite the lack of evidence of their efficacy. Parts of endangered species used as TCM herbal remedies include rhinoceros horns, tiger bones, Saiga antelope horns and dried seahorses. Poachers supply the black market with these rare animal parts, with rhino horns literally being worth their weight in gold. The horns are made of keratin, the same type of protein that makes up hair and fingernails. They are ground into dust and used as TCM ingredients. In Europe and Vietnam, rhino horn is falsely believed by some to have aphrodisiac properties, but this belief is not part of TCM. As a result of this demand, the world’s rhino population has reduced by more than 90 percent over the past 40 years. The International Union for Conservation of Nature (IUCN) Red List identifies one of the five modern rhino species as recently extinct and three as critically endangered. The West African Rhinoceros was declared totally extinct in November 2011. The northern sub-species of the White Rhinoceros is presumed extinct in the wild, with only a few individuals left in captivity. As of 2015, only 58-61 individuals of the Javan Rhinoceros remain in Ujung Kulon National Park, Java, Indonesia. The last Javan rhino in Vietnam was reportedly killed in 2011. There were 320 Sumatran rhinoceroses left in 1995, and these had dwindled to 216 by 2011. 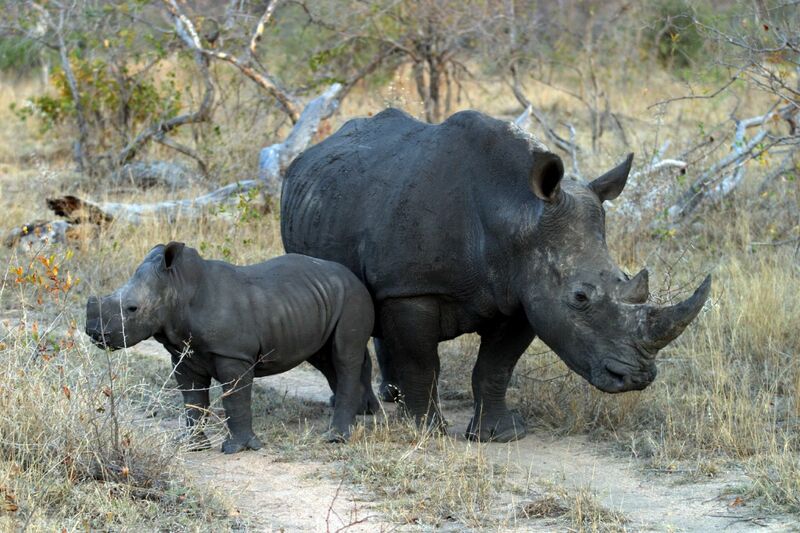 In 1993, China signed the 171-nation Convention on International Trade in Endangered Species (CITES) treaty and removed rhinoceros horn from the Chinese medicine pharmacopeia, administered by the Ministry of Health. In 2011, the Register of Chinese Herbal Medicine in the United Kingdom issued a formal statement condemning the use of rhinoceros horn. A growing number of TCM educators is also speaking out against the practice. Discussions with TCM practitioners to reduce the use of rhino horn, has met with mixed results, because some TCM practitioners still consider it a life-saving medicine of a better quality than its substitutes. Tigers once ranged widely across Asia, from Turkey in the west to the eastern coast of Russia. Over the past 100 years, they have lost 93% of their historic range, and have been largely eliminated from large areas of Southeast and Eastern Asia. In the 1940s, the Siberian tiger was on the brink of extinction with only about 40 animals remaining in the wild in Russia. As a result, anti-poaching controls were put in place by the Soviet Union and a network of protected zones were instituted, leading to a rise in the population to several hundred. Poaching again became a problem in the 1990s, when the economy of Russia collapsed. In 2005, there were thought to be about 360 tigers in Russia, though these exhibited little genetic diversity. However, in a decade later, the Siberian tiger census was estimated to be from 480 to 540 individuals. The remaining six tiger subspecies have been classified as endangered by IUCN. The global population in the wild is estimated to number between 3,062 and 3,948 individuals, down from around 100,000 at the start of the 20th century, with most remaining populations occurring in small pockets isolated from each other, of which about 2,000 exist on the Indian subcontinent. The Saiga antelope is a critically endangered species that originally inhabited a vast area of the Eurasian steppe zone from the foothills of the Carpathian Mountains and Caucasus into Dzungaria and Mongolia. They also lived in Beringian North America during the Pleistocene. Today, the dominant subspecies is only found in one location in Russia and three areas in Kazakhstan. Fewer than 30,000 Saiga antelopes remain. Organized gangs illegally export the horn of the antelopes to China for use in TCM herbal remedies. Demand for the horns has wiped out the population in China, where the Saiga antelope is a Class I protected species, and drives poaching and smuggling. Under the auspices of the Convention on Migratory Species of Wild Animals (CMS), also known as the Bonn Convention, the Memorandum of Understanding (MoU) Concerning Conservation, Restoration and Sustainable Use of the Saiga Antelope was concluded and came into effect 24 September 2006. The Saiga’s decline being one of the fastest population collapses of large mammals recently observed, the MoU aims to reduce current exploitation levels and restore the population status of these nomads of the Central Asian steppes. Seahorse is the name given to 54 species of small marine fishes in the genus Hippocampus. ‘Hippocampus’ comes from the Ancient Greek word hippos meaning ‘horse’ and kampos meaning ‘sea monster’. Because data is lacking on the sizes of the various seahorse populations, as well as other issues including how many seahorses are dying each year, how many are being born, and the number used for souvenirs, there is insufficient information to assess their risk of extinction, and the risk of losing more seahorses remains a concern. Some species, such as the Paradoxical Seahorse may already be extinct. Coral reefs and seagrass beds are deteriorating, reducing viable habitats for seahorses. Seahorse populations are thought to be endangered as a result of overfishing and habitat destruction. Despite a lack of scientific studies or clinical trials, the consumption of seahorses is widespread in traditional Chinese medicine, primarily in connection with impotence, wheezing, nocturnal enuresis, and pain, as well as labor induction. Up to 20 million seahorses may be caught each year to be sold for such uses. Import and export of seahorses has been controlled under CITES since 15 May 2004. However, Indonesia, Japan, Norway, and South Korea have chosen to opt out of the trade rules set by CITES. The problem may be exacerbated by the growth of pills and capsules as the preferred method of ingesting seahorses. Pills are cheaper and more available than traditional, individually tailored prescriptions of whole seahorses, but the contents are harder to track. Seahorses once had to be of a certain size and quality before they were accepted by TCM practitioners and consumers. Declining availability of the preferred large, pale, and smooth seahorses has been offset by the shift towards prepackaged preparations, which makes it possible for TCM merchants to sell previously unused, or otherwise undesirable juvenile, spiny, and dark-coloured animals. Today, almost a third of the seahorses sold in China are packaged, adding to the pressure on the species. Dried seahorse retails from US$600 to $3000 per kilogram, with larger, paler, and smoother animals commanding the highest prices. In terms of value based on weight, seahorses retail for more than the price of silver and almost that of gold in Asia. The traditional practice of using endangered species is becoming controversial within TCM. Modern TCM texts discuss substances derived from endangered species in an appendix, emphasizing alternatives. Like other varieties of quackery, TCM offends our sense of rationality by being a useless waste of time and money. But it is also harmful to humans and other species, in terms of diversion from effective therapies, risks of toxicity and threats to the survival of endangered species. Tim Harding B.Sc. is a former Director of Flora and Fauna, in charge of protecting endangered species in Victoria. Ian Musgrave et al What’s in your herbal medicines? The Conversation, 13 December 2015.